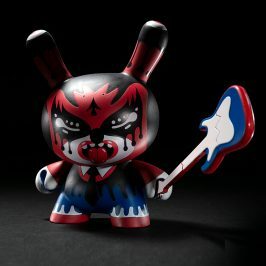 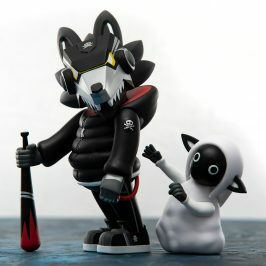 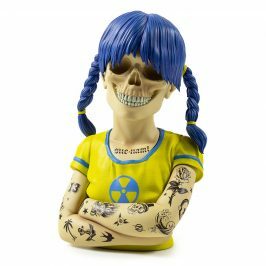 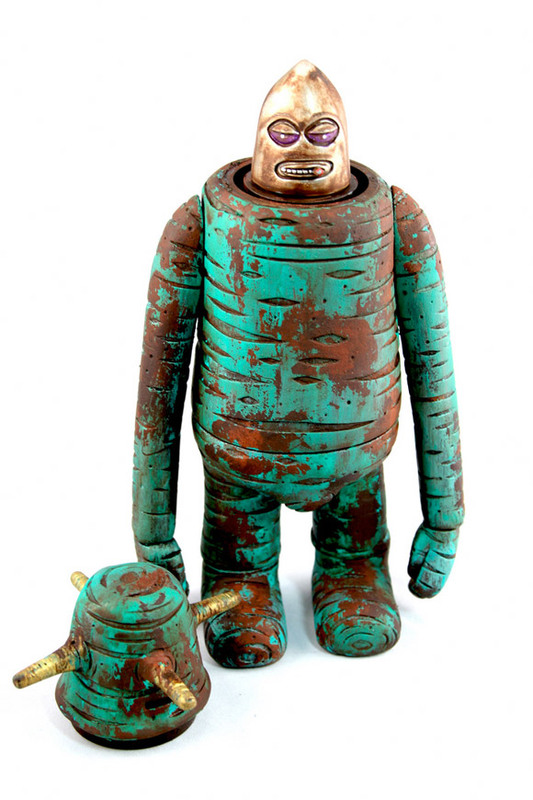 SF artist, Dril One has no remorse when assaulting art toys and reworking them with his characterustic stylings. 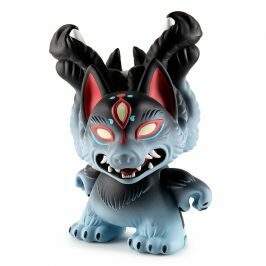 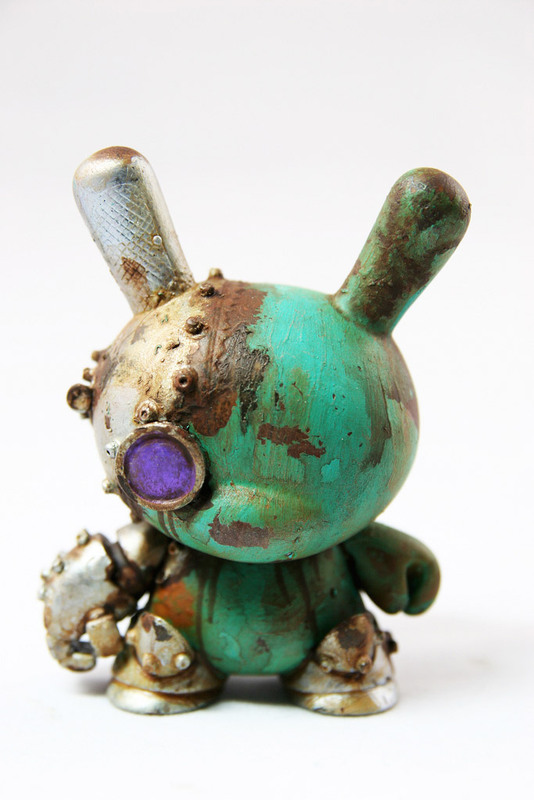 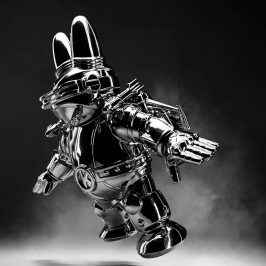 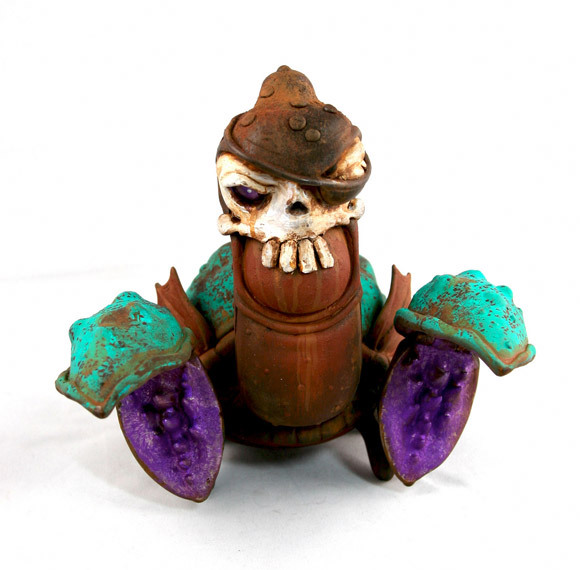 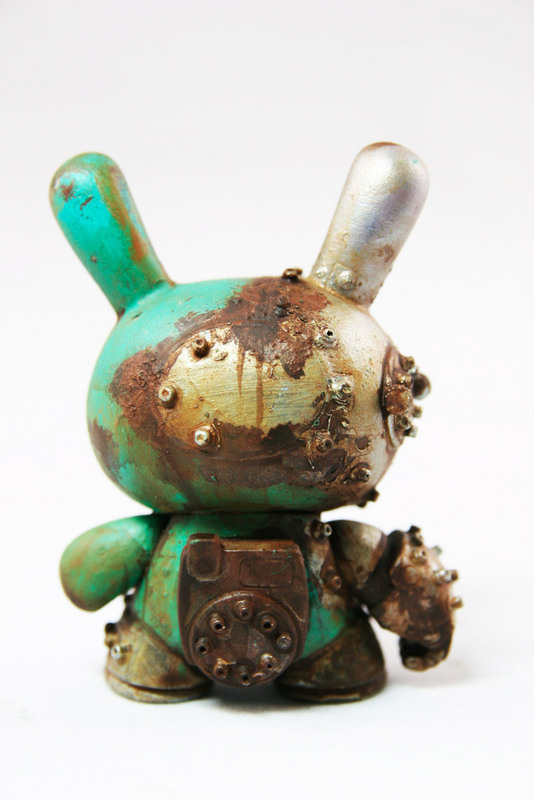 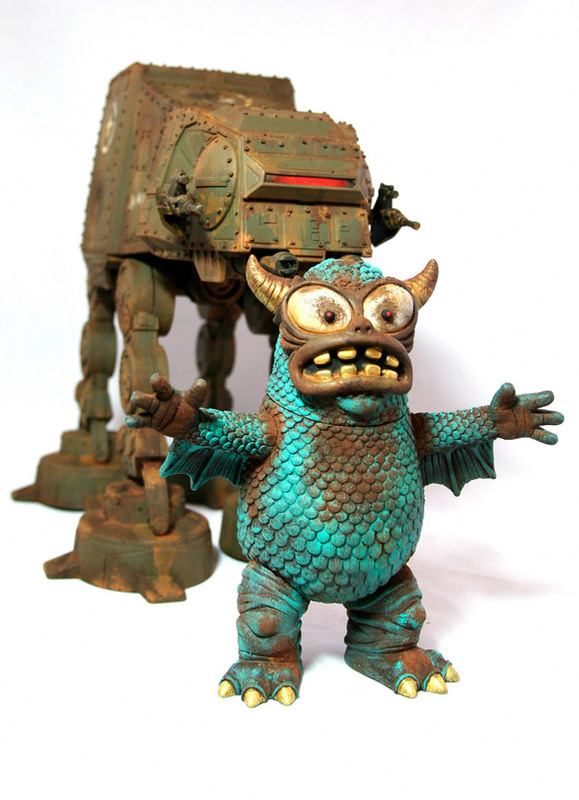 His latest batch of corroded customs are now on display in the group show Metallic Machinations at the Toy Art Gallery in Los Angeles alongside Chris Rose, Phu!, Rhoby, and Jester. 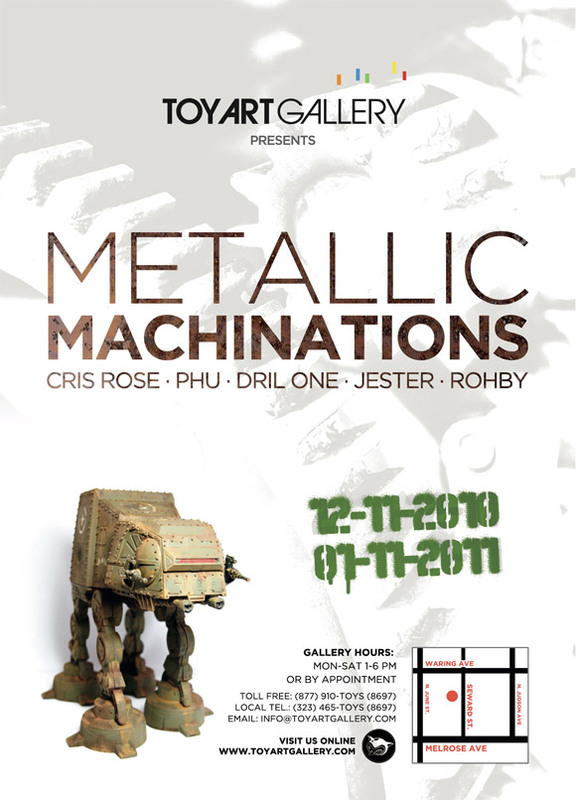 Metallic Machinations will be open throughout January 11.